Walker's Immortals battle the Costa Rican army at the Battle of Rivas, April 1856. From Frank Leslie's Illustrated Newspaper. It was the fall of 1856, and Mike Brannigan was trying to get back to San Francisco, even though he knew that when he arrived the Committee of Vigilance might capture and hang him. After a drunk and eventful trip across Nicaragua, he had been stymied at the port of San Juan del Sur, when the captain of the steamer Sierra Nevada recognized him, and refused to let him board. So Mike was stuck in Nicaragua, looking for options. Fortunately he knew a few people in Nicaragua—and one of them was president of the country. Back in the early 1850s, William Walker had been a journalist in Gold Rush San Francisco. 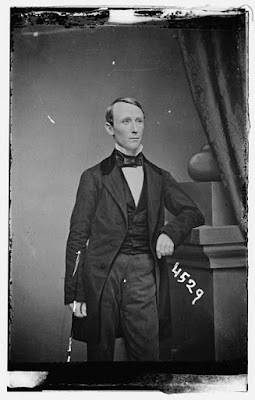 Grey-eyed, soft-spoken, and steel-nerved, Walker fought in several duels, including one against Democratic congressman Joe McKibben. Mike Brannigan had driven the cab in which Walker rode out to the sand dunes to meet McKibben (both men survived). 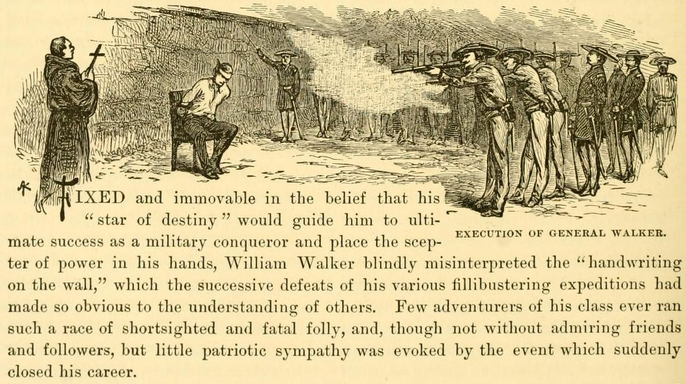 In the years since, Walker had become the most notorious military freebooter (or “filibuster”) of the 19th Century (if you look up “filibuster” on Wikipedia, there’s a picture of Walker). Walker’s ambition was to achieve glory through conquest, carving new “republics” (with himself as president) out of Mexico and Central America, which could later become new US states—after the pattern established by Texas and California. Walker felt that Manifest Destiny, and what he saw as the innate superiority of the White race, would lead him to inevitable triumph—a belief that remained unshaken even as he was repeatedly trounced by the inhabitants of the “inferior” nations he invaded. After failed attempts to set up “republics” in Baja California and Sonora, he was invited to Nicaragua by that nation’s somewhat clueless president, to assist in putting down his enemies in a civil war. Walker wasted no time in seizing power, declaring himself president of Nicaragua in July, 1856. Walker’s army—who he called the Immortals—was composed of American, European, and Central American volunteers. Not all of them necessarily shared Walker’s racial supremacist philosophy. Many of his recruits came from California, including hundreds of former 49ers who missed the uproar and excitement of frontier days. As president, Walker quickly made powerful enemies. He antagonized the people of Nicaragua by declaring English the official language, and legalizing slavery to encourage immigration and economic support from the Southern US. He had seized part of Cornelius Vanderbilt’s Nicaraguan shipping line, and Vanderbilt sought revenge by working to undermine Walker’s regime. 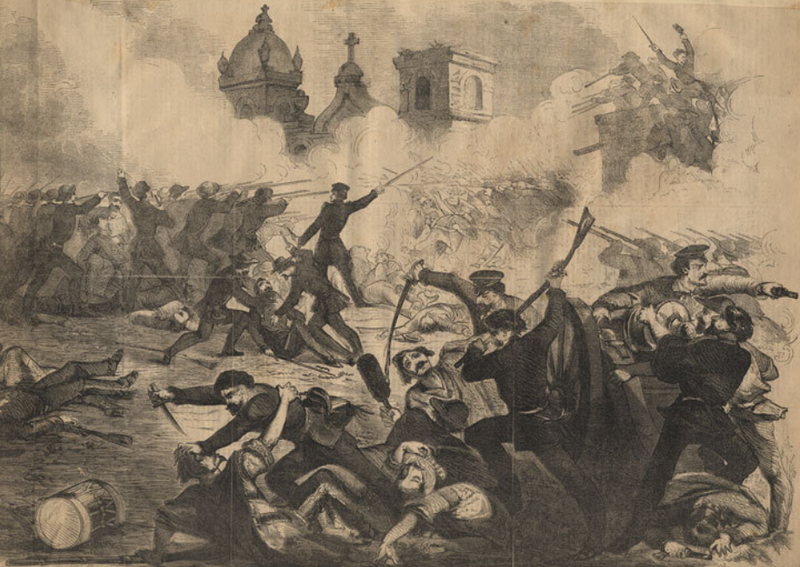 Walker’s military exploits alarmed the neighboring countries, and the armies of Costa Rica, Guatemala, Honduras, and El Salvador joined forces to drive him out. His men were starving—even captains being obliged to beg a plantain here and there, wherever they could get it. 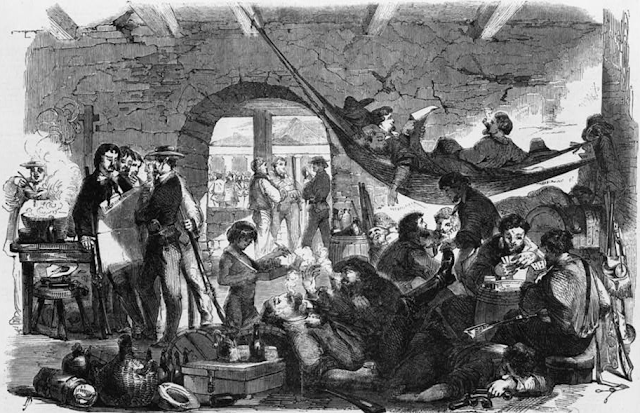 Walker, and some six or seven particular friends with him, had a whole barrel of pilot bread, along with some other provisions, and fared better than the rest. All of his own men who attempt to desert are shot if caught. ... Walker is a man of few words, and harder on his own men than the enemy. Upon hearing of the capture of six Germans who had attempted to desert, he merely said, “shoot them,” and it was done at once. Mike Brannigan was far too savvy to join a losing cause like Walker’s. Fortunately, he had another friend in Nicaragua: Christopher Lilly. Like Charley Duane, Billy Mulligan, Ira Cole, and Yankee Sullivan, Chris Lilly was a prizefighter, one of the crowd of former Bowery boxers who travelled west to become San Francisco shoulder-strikers. 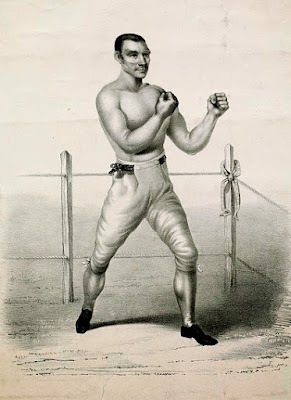 Lilly was most famous for an 1842 match lasting 120 rounds, at the end of which his opponent fell dead. After that Lilly had to split New York, spending some time in England before making his way to New Orleans where he lived the life of a gambler and a "fancy." When the Mexican-American War broke out, he joined the Louisiana Mounted Volunteers, in which he served as First Lieutenant; according to contemporaries, his war career was marked by both bravery and cruelty. Arriving in San Francisco in 1852, Lilly set up a gambling house to rake in the gold of foolish miners. Along with his friends Yankee Sullivan and Billy Mulligan, Lilly quickly became an influential member of Broderick’s political gang. Lilly was one of the leaders of the movement to split San Mateo county off from San Francisco, in order to create a haven for drinking, gambling, and prostitution on the city’s southern border; the county line was drawn just north of Lilly’s saloon, The Abbey. When the Vigilantes came to power, they arrested Lilly and shipped him into exile on the same day as Mike Brannigan. Lilly settled down in Nicaragua and—true to form—opened a gambling parlor to relieve Walker’s more gullible recruits of their savings. He used the proceeds to buy a small schooner called the Maria, and embarked upon a new career, shipping goods up and down the Pacific coast of Central America, and smuggling supplies to Walker. Mike Brannigan joined Lilly’s crew as the ship’s cook. Along with Lilly and Brannigan, the rest of the crew were first mate Elisha Yates, Alan Parker, and “a Russian youth, 18 years of age.” The Maria sailed down to Costa Rica to load up on coffee, then returned to San Juan to sell to Walker. Walker, however, had got so reduced in funds that he could pay but little cash, and Chris only sold him about half his load, for which he got some money, some cacao, and the balance in promises. Lilly tried to take his cargo of coffee and cacao north to Manzanillo, Mexico, but the little Maria was damaged in a storm and he had to put into the Nicaraguan port of El Realejo for repairs. Unfortunately for Lilly and his crew, the Guatemalan navy—consisting of two war brigs—was also in El Realejo, under command of Admiral William Knote. Just like Brannigan, Lilly, Walker, and the rest, William Knote was an American adventurer, drawn to the region by the opportunities for profits and glory. Knote was not content with commanding the tiny Guatemalan fleet. He had just recently had one of his subordinate captains executed on a false charge, simply so he could take the man’s vessel; and when he saw Lilly’s defenseless schooner loaded with its valuable cargo, his mouth must have watered. Feigning friendliness, Knote offered to tow Lilly and his crew to the larger port of La Unión, where repairs could be more easily made. Lilly, afraid of being charged with supporting Walker, nervously agreed. Once in La Unión, Knote clapped the Maria’s crew in irons on his warship the Santiago, declaring them prisoners of war. Lilly fell dead at the first fire, but Yates, who was a very powerful man, was not immediately killed. In his agony he dashed his manacles at the head of his dead companion, and scattered his brains about the hold. Yates was finally despatched, and then the vessel raised anchor and went out to sea, to sink the bodies. Luckily for Mike Brannigan, he had been set free earlier. It is not clear why; perhaps the lowly cook was not worth executing. A few months later, he was back in San Francisco.